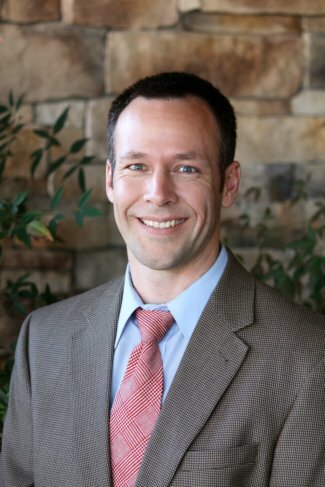 Raised in Prescott, Dr. Judah Pifer is a licensed orthopedic surgeon, fellowship trained in surgery of the foot and ankle. Dr. Pifers’ general orthopedic surgery practice includes large and small joint arthroscopy of the shoulder knee and ankle, fracture care, and total joint arthroplasty. He specializes in arthroscopic and reconstructive surgery of the foot and ankle. After graduating from Prescott High School in 1993, he completed his undergraduate degree in Exercise Physiology at Northern Arizona University in 1998. He graduated at the top of his class at the University of Arizona Medical School, and was appointed to the Alpha Omega Alpha honor society prior to receiving his Medical Degree in 2006. He continued his training in Tucson and graduated from the UofA Orthopedic Surgical Residency Program in 2011. He received his fellowship training at the University of New South Wales in Sydney, Australia. Dr Pifer is married with two young children and is active with his church and in the community. He is enthusiastic to be serving the community in which he grew up and to be raising his family in his hometown. Dr. Pifer did surgery on my foot/Achilles heel and later on my shoulder. He was very professional and the anesthesiologist said we need more surgeons of his caliber in our town. He took a fair amount of time with me and calmed my fears. He offered suggestions about services and how to be more comfortable at home. Seems to be a very good doctor. Dr. Pifer is an outstanding Orthopedic Surgeon. I just had my left knee replaced. His skill and professional efficiency enabled me to return home the day after surgery. My recovery has been excellent. I have no hesitation in giving him the highest recommendation I have even given any medical professional. It is my pleasure to recommend Dr. Pifer. Dr. Pifer is a wonderful surgeon! He is straight and to the point and does what needs to be done. Great surgeons are hard to come by in Northern Arizona. He knows what he's doing and there's nothing more comfortable than that! Doctor Pifer replaced my right hip in January of this year, my hip was so bad that my right leg was shorter than my left leg, Dr. Pifer was able to make both of my legs the same length. I just want to say how much better I feel, I feel like a whole new person thanks to you Dr. Pifer. I would also like to add that the office staff was very professional, friendly and helpful. Thank you Orthopaedic Specialists of Central Arizona.